Sept 13: Students from Stanford University have prepared engineering design of one village in Dolakha district. 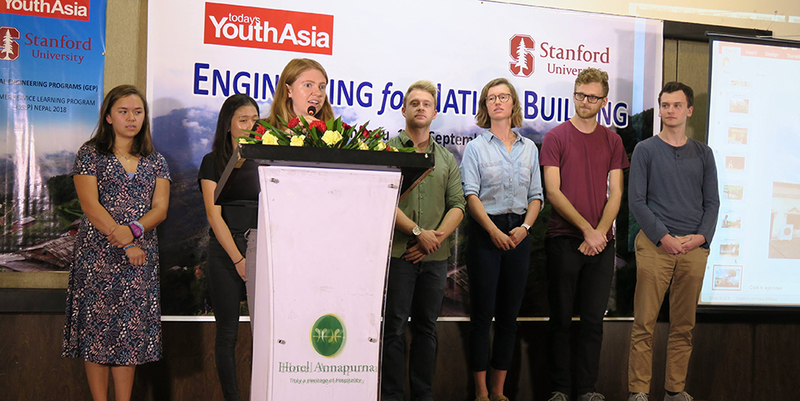 With the coordination of Kathmandu-based Today’s Youth Asia, the students of American university prepared the engineering design of Bhaise village under the Global Engineering Program. The design was revealed amid a special program in the capital on Thursday. During the program, a team of seven students prepared the design and informed that the design was made with the concept of Engineering for Nation. They explained that they have used an innovative concept and explained the features of the design. Following the reveal of the design, the students handed it over to lawmaker Shanti Pakhrin, who represents the district.